BT today announced that it is extending its hugely popular Complete Wi-Fi to new Superfast and Ultrafast Fibre broadband customers. With Complete Wi-Fi, BT is the only broadband provider in the world to offer customers a strong reliable Wi-Fi guarantee for every room of their home. Complete Wi-Fi is now available for new Superfast Fibre customers, including on entry level Superfast Fibre Essential plans from just £39.99 per month - providing great value for families requiring simple everyday broadband use throughout their homes. 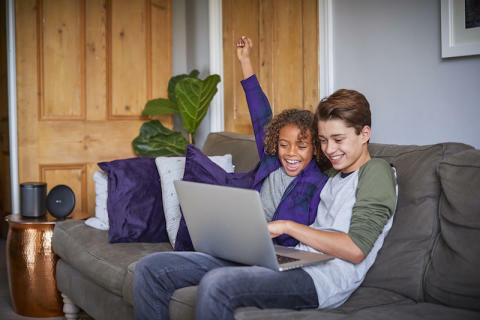 Complete Wi-Fi was initially launched to BT Plus customers in November, and is part of BT’s commitment to provide customers with the best connections, at home and on the go. Unlike current Wi-Fi extenders, Complete Wi-Fi from BT uses unique Wi-Fi Discs which pair with the new BT Smart Hub 2 – the UK’s most powerful hub - creating a single seamless, powerful wi-fi network in a customer’s home. Complete Wi-Fi enables both wall-to-wall coverage, and faster Wi-Fi speeds, allowing customers to stream HD video content in more places around the home. A four-bedroom home could see an increase in Wi-Fi speeds of up to 25% around the home with just one disc. Customers can quickly set-up Complete Wi-Fi from their smartphone with the My BT app. This allows them to easily make sure they’re getting the strongest signal around their home – directing them where to place their Wi-Fi Disc and check the strength of their wi-fi signal in every room. Complete Wi-Fi answers what is a daily problem for families in the UK experiencing poor wi-fi signal with around 10 million homes requiring a solution to their wi-fi dead spots. According to the BT Modern Families report, 43% of people believe poor wi-fi restricts life at home, 52% of families are put off living in, or buying, a house with wi-fi black spots, and 43% of families claim they would be more productive and happy if their wi-fi worked across the whole home. With Complete Wi-Fi, a BT customer will receive a next generation Smart Hub 2 and one Wi-Fi Disc to extend their wi-fi signal around their home. If this doesn’t give customers a strong signal in every room, they will receive up to two more discs free of charge. 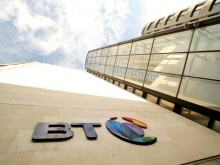 If they still don’t have signal in every room, BT will give the customer £20 back. BT’s next generation Smart Hub 2 is the most advanced router available from a broadband provider, with a combination of unique features to deliver fast speeds throughout the home. The Smart Hub 2 provides 7 antennas uniquely positioned to maximise power, the latest Wi-Fi technology, smart channel selection, smart scan and clever app-based services to help them set up and manage their home Wi-Fi. Complete Wi-Fi is available for new customers on Superfast Fibre Essential, Superfast Fibre and Superfast Fibre 2 plans for an additional £10 per month. For existing or new BT Plus customers it’s an additional £5 per month. BT Plus is the UK’s first converged fibre and 4G plan that gives customers BT’s fastest speeds in and out of the home with a unique Keep Connected Promise, all on one simple bill. For more information and to sign up to Complete Wi-Fi, BT Superfast Fibre and BT Plus customers should visit www.bt.com/completewifi.